Europe’s biggest bank HSBC has decided to keep its headquarters in London, rejecting a move to Hong Kong. 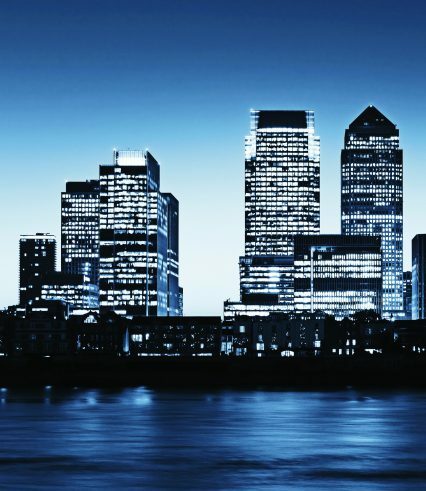 In a unanimous decision made by the bank’s board on Sunday February 14, HSBC cited London’s status as “one of the world’s leading international financial centres and home to a large pool of highly-skilled international talent”. It came after a 10-month review in which the bank considered relocating to its original home and biggest money earner, Hong Kong. 46% of HSBC’s pre-tax profit is generated in Hong Kong, while the Special Autonomous Region of China would have offered HSBC a lower tax rate than the 20% it currently pays in London. A report last year found that a move to Hong Kong could save HSBC US$14bn, leaving many to speculate that the decision was driven at least as much by political reasons as economic ones. “Having our headquarters in the UK and our significant business in Asia Pacific delivers the best of both worlds to our stakeholders,” group CEO Stuart Gulliver said in a written statement. The recent economic slowdown in China, coupled with the ongoing uncertainty of Hong Kong’s political future have been singled out as other reasons for HSBC to opt for the status quo. Hong Kong remains governed under the “one country two systems” model implemented upon its return to China in 1997. However, in recent years, many Hong Kongers have displayed their frustration with what they perceive as Beijing’s efforts to bring it into line with the rest of China and to exert powerful influence in areas such as education, media and politics. The disappearance of a number of radical booksellers in Hong Kong has hit the headlines around the world, with many speculating that they were kidnapped by the Chinese government for attempting to publish an unflattering account of President Xi Jinping. Last week’s Chinese New Year celebrations were upset by a street riot in Kowloon, with a group of dissident localists engaging in running battles with police, which fired live rounds – marking a break from the peaceful protests which have traditionally taken place in Hong Kong. With elections for a new chief executive in Hong Kong to take place in 2017, it’s likely that the turmoil will continue. For its part, HSBC has been in something of a lockdown since the 10-month review began, curtailing its dealings with the media and noticeably shying away from interview opportunities. The bank’s spokesperson refused to comment on this latest news when contacted by GTR. The chairman of the Hong Kong Monetary Authority Norman Chan said he respected the bank’s decision, adding: “I would like to stress that Hong Kong is the premier banking and financial hub in Asia, with all but one of the 30 Global Systemically Important Banks operating in Hong Kong. Meanwhile the British Consul General to Hong Kong and Macau, Caroline Wilson, took to social media to praise HSBC’s decision to get “the best of both worlds”.